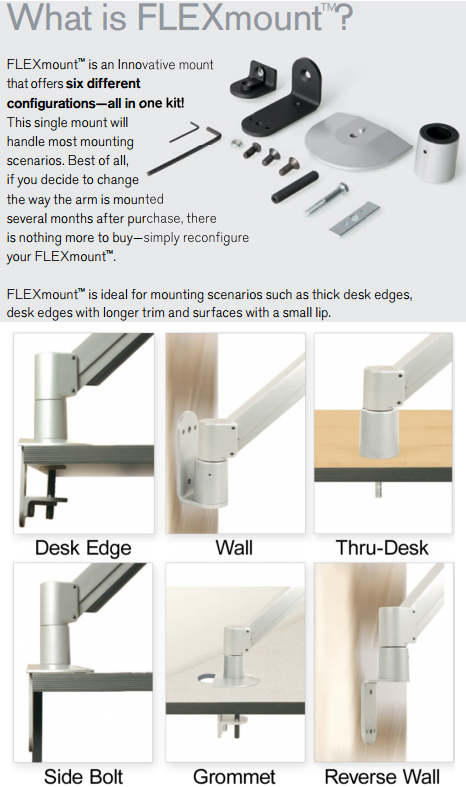 The Innovative 9112 comes with a universal mounting option so it can be mounted on a desk as well as on the wall. Please note that the 8424 iPad holder has a secure option with a lock and key but the Arm is not secure. 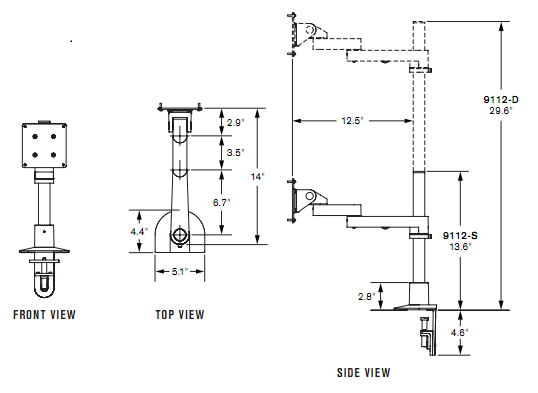 8424 is compatible with iPad gen 1, 2, 3 and 4.
iPad Pole Mount Arm associated parts are designed only as theft deterrents, not theft-proof. Ergodirect.com in no event will be held liable for any loss or damage including without limitation, indirect or consequential loss or damage, or any loss or damage whatsoever arising from loss of data or profits arising out of or in connection with the use of this product. Model 9112 features foldable arms which adjust vertically up and down a 14" pole. The arms can fold up to fit in about 3" of space and extend out 14". Various pole lengths and extensions are available or can be designed to fit any application you may be looking for. 8424 allows the user to access the Home Button. But 8424-NHB blocks user access to Home Button for applications where it is necessory. It does not allow the user to access the Home Button. VESA Monitor compatible - 75mm & 100mm VESA adapter included. Please call for other VESA mounting pattern or non VESA options. Question: What is the weight of the ipad holder? Answer: The net weight is 2.75 lbs.